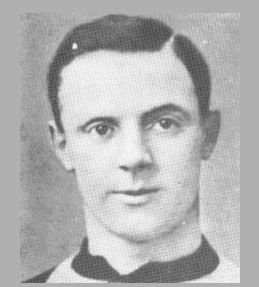 A legend who spent most of his adult life at Villa, after signing from Palace in 1907. Wallace would serve as a player until 1921 (including one War appearance), becoming a scout not long after hanging up his boots, and continuing to serve the club behind the scenes until into the 1960s. His glittering playing days won him two FA Cup winners' medals, either side of the War; in the 1913 final he stepped up to take a penalty against Sunderland and missed - being the only footballer to fluff an FA Cup Final spot-kick in more than a hundred years. He also bagged a League title (1910) and was four times a runner-up. He scored 58 goals for Villa and in addition, England capped him three times.